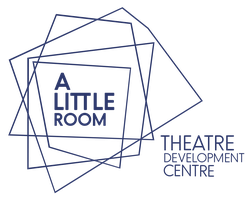 Application Form - A Little Room, Theatre Development Centre - Waterford. We at A Little Room do not curate the work of our residents and it is open to all performative mediums. We do ask, however, that applicants approach their residency with professionalism and a genuine desire to examine their work or practice. The room is available for a maximum of one month per residency, and can be accessed Monday-Friday from 10am - 6pm. If you are interested in using the space to develop work please fill out the form below. (F) Choose the month in which you would like to complete your development.